Changes in the health-care industry are forcing practitioners and EMS operators to fight for every cent of reimbursement. Here are some tips for doing it better. It is the cry, shouted or not, of anyone running a business for profit or pleasure. Any of us who has ever had to chase people for money owed by them knows how hard it can be to get compliance with that cry. Some of us learn from painful experience that you really have to work hard at it. Some never learn that lesson. That last group, according to most operators of helicopter emergency medical services, includes most of the medical outfits with which they work. 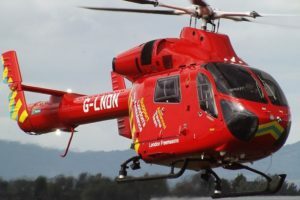 "One thing hospital's do a really bad job of is accounts receivable and billing," said the head of one major air medical service company in the United States. 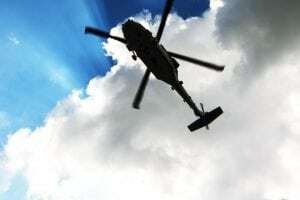 The inability to collect payment for services rendered is a major impediment that keeps helicopter-supported medical services from staying in the black, according to that executive and other helicopter professionals and medical billing specialists. 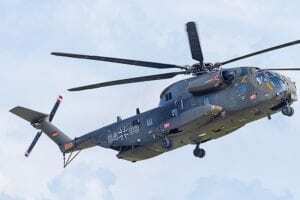 Other faults include a failure to accurately assess what contributions a helicopter can make to a medical provider's business and which aircraft is best suited to deliver those contributions. Yet another, these executives said, is a failure to maintain a sufficiently long-term vision of business goals to appreciate that the benefits of advanced-technology applications may outweigh their costs. But all agreed the problems begin with billing. It is a curious fact. Experts and lay people have complained for years that health-care costs in the United States are out of control. Health management organizations secured their firm grip on this nation's $900-billion health-care industry by vowing to bring those costs under control. They have pursued that goal by imposing stringent restrictions on health-care providers, both in terms of the work for which they can charge and the amounts they can expect to be reimbursed for that work. That, in turn, has forced hospitals to close or trim staffs and take other measures to cut costs. Yet a common complaint is that health-care providers routinely collectively let millions of dollars of claims for reimbursement of their costs go unrecovered from insurers and patients. Given the cost of acquiring, outfitting and staffing an EMS helicopter, that practice can be lethal. 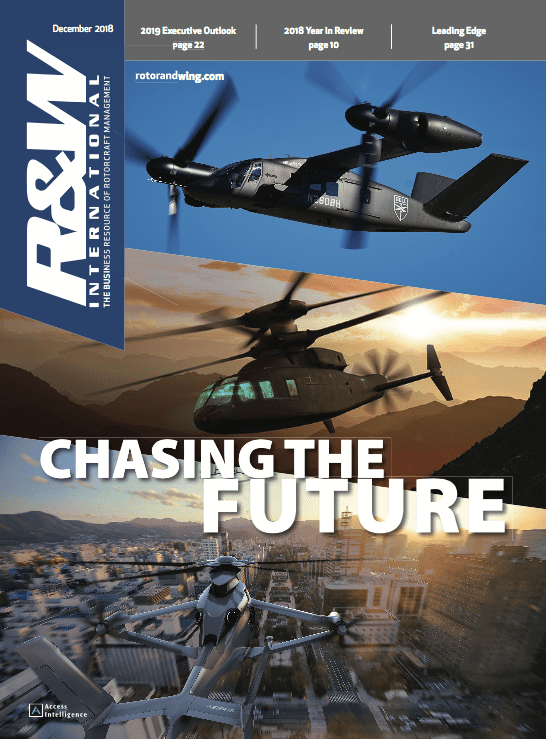 If a hospital is in a more traditional partnership with a helicopter operator to conduct an air medical service, it likely is paying a flat fee for that arrangement plus a rate per flight hour for missions flown. If it fails to follow the reimbursement process through to completion, the hospital will find itself subsidizing tens of thousands of flight hours, if not more. If the air medical service provider operates independently of any health-care institution, it faces the same burden-pursue reimbursements thoroughly or fly on a charity basis. The health-care reimbursement process is daunting, according to Maryjo Mayberry, a medical billing specialist in Fairfax, Virginia. Separate sets of detailed and complex codes for diagnoses, procedures and supplies must be and mastered by the administrative personnel that support health-care providers. Insurers all use the codes as wickets through which paperwork must clear before they'll even consider a claim for reimbursement. That paperwork must be impeccable. If incorrect codes are used, or if they are not supported with documents showing that the associated work was done or supplies were used, you'll see no money. "If a claim is incomplete or incorrect, an insurer will send it right back," Mayberry said. "That's the step at which most money is lost." That is because, while insurers all have provisions for appealing their rejection or denial of a claim, many claimants either don't appeal or don't do so in time. The deadline for appealing claims varies by insurer. Some allow 30 or 45 days. The U.S. government is most lenient, permitting appeals of Medicaid claims up to 18 months. Mayberry is dogged in following up on rejections and denials. "If a claim is bounced back, I get a follow-up letter out right away providing the necessary documentation or detailing point by point why the denial is wrong." The inability of health-care institutions to collect on claims has led some EMS providers to take the matter into their own hands. Shreveport, Louisiana-based Metro Aviation several years ago set up a collection service to handle claims for health-care providers. "In every case," Mike Stanberry, Metro Aviation president said, the service "dramatically increased revenue and cut receivables time." Hardware also can be an impediment to keeping revenues ahead of expenses, especially if it is selected poorly, Stanberry said. Metro Aviation operates 15 air medical services for health institutions and maintains and equips EMS aircraft for other operators. 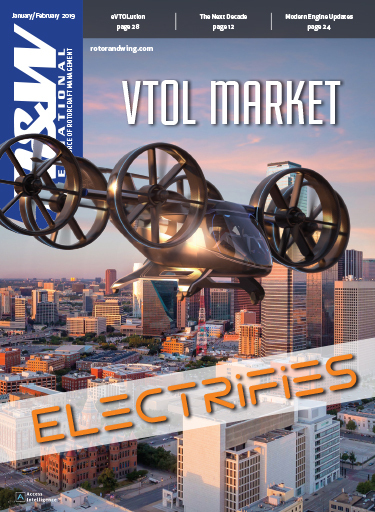 Hospitals need to have a clear idea of the role an aircraft will play in their EMS operation and how much utility they are likely to get from the aircraft, Stanberry said. Metro Aviation worked on gaining single-pilot IFR certification of the EC145 for Florida's Lee County Emergency Medical Service. 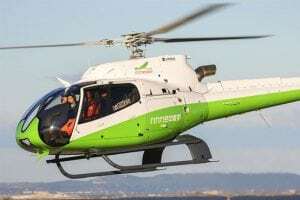 Lee County is Eurocopter's first customer in North America for the medium twin. The price and performance of an EMS helicopter must match an operator's intended use, Stanberry said, or his service is doomed. An aircraft that costs $5 million or so can not be sustained in an EMS program that expects to fly it only 40 or so hours a month. Such a utilization rate argues for a less expensive aircraft. Other questions that must be answered include how much territory will the aircraft cover and what is an acceptable maintenance budget. "What speed do I really need?" Stanberry went on. "What airframe is most dependable?" Answer such questions "and you start to narrow the selection of the right aircraft." An essential element of that process, he and others said, is realizing that the air medical service will be a long-term endeavor. "You've got to have someone say, 'We're going to be in this business for 5-10 years," Stanberry said. That puts capital costs in a different perspective, one of being recouped through a market-building process instead of one ending in a few quarters. That same approach helps bolster a decision to invest in technology upgrades of EMS aircraft. EMS operations typically are thrifty, but such investments can have tangible benefits that justify their upfront expense. "You've got to get over the capital costs," Stanberry said. 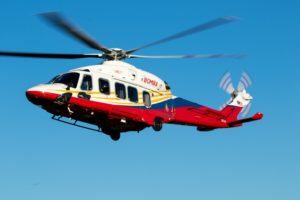 West Mifflin, Pennsylvania-based STAT MedEvac took that approach in the late 1990s when it began pursuing development of GPS-based point-in-space approaches. Others had worked with consultants and the FAA on the concept before the aviation agency would sign off on the use of such approaches. By pressing on, STAT MedEvac gained the ability to fly an instrument-like approach to a non-instrumented heliport or designated landing zone. That enabled it to respond to remote areas and in foul weather, when others could not. The GPS point-in-space allows properly equipped helicopters to fly guided approaches into sites other than traditional aeronautical facilities, such as a baseball field in a remote community. That site then can be used as a pre-planned rendezvous for transferring a critical patient from a ground ambulance for a faster trip by air to a trauma center. 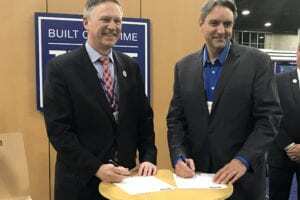 STAT MedEvac's efforts in this regard got a boost late last year with funding from the FAA, which set aside $1 million for the development of 30 more GPS point-in-space approaches in STAT MedEvac´s coverage area. Establishing all of those approaches would more than double the point-in-space approaches in the company's arsenal. It has 29 in use. Other EMS operators and hospitals are investing in the safety and operational benefits of night-vision goggles. These include Air Methods and its AirMed partner in Utah, the Enloe Medical Center in California and Mercy Air in Redding, California. Others are investing in different means of enhancing helicopter crews' vision and increasing their safety and operational efficiency. 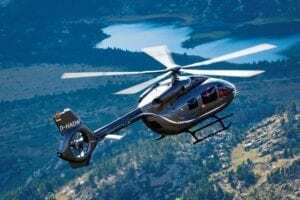 Erlanger Health Systems in Chattanooga, Tennessee has opted for Max-Viz's EVS-1000 enhanced vision system on its Bell 412 Life Force helicopters. That system "gives us a clear picture of the terrain throughout our operating area, from the mountains to the valleys," said Steve Straughen, director of Erlanger's Life Force operation. 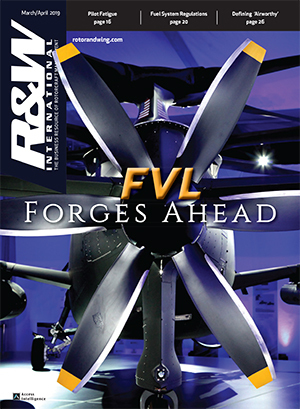 The uncooled, long-wave infrared sensor scans runways, terrain, and any potential obstacles and shows that data on a display is mounted at eye level above the main instrument panel on a flip-down hinged bracket. It can be viewed by either crew member.